We've all watched those segments on the weekend morning cookery shows where chefs are given the chance to peruse sun-kissed markets in the Mediterranean for fresh, organic ingredients, and use them to whip up delicious meals in a charmingly rustic kitchen. These dishes consist of bright, ripe veg and fresh meat and fish you can almost taste from the comfort of your living room. But these dishes needn't be exclusively served up on TV or in the Mediterranean, all the flavours of Spain, Italy, Greece and southern France are achievable in your kitchen – and with less rigmarole than you may think. You don't have to go foraging for funghi porcini to perfect your risotto, or wade out to warm waters for line-caught seabream – many of the great Mediterranean recipes are possible with little effort, using ingredients from your local supermarket. So, to help you bring the taste of the Mediterranean to your kitchen, here are five quick and simple recipes you and your family will adore. The fresh flavours of basil give this dish a springtime lift. 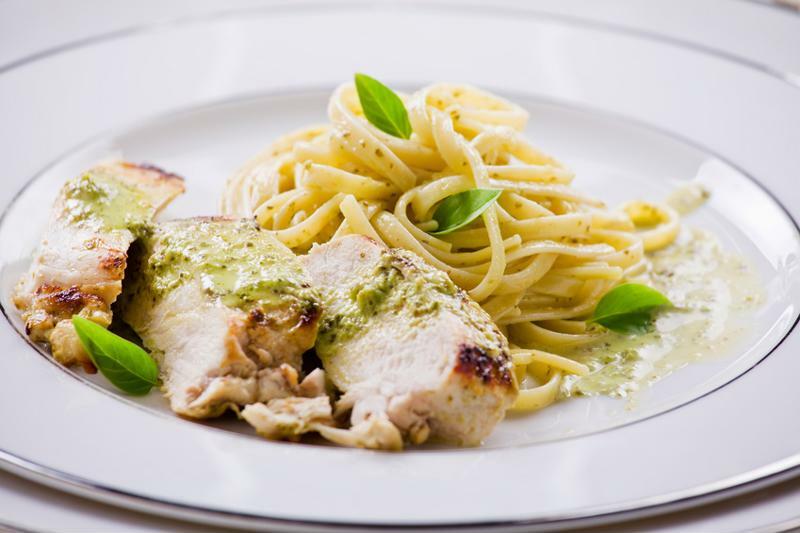 Light, yet satisfying, grilled chicken with linguine and pesto make a great midweek meal for the whole family to enjoy after a long day at work or school. This dish is super simple to make as well, it's a case of tossing all the ingredients in a skillet. Don't worry if you make too much, this dish will still work the next day – great packed up in the family's lunchboxes. Try this Light, yet satisfying pesto linguine. Prepare the linguine as specified on the packaging. Heat oil in a skillet and add the garlic for one minute. Then add the chicken, pesto, pasta and half the walnuts, and fry until everything is cooked through. Add the boiled linguine to the mixture and stir. Divide between six shallow bowls and top with the remaining nuts and cheese. The ultimate light lunch to enjoy out in the garden with a glass of crisp white wine when the weather takes an upturn. 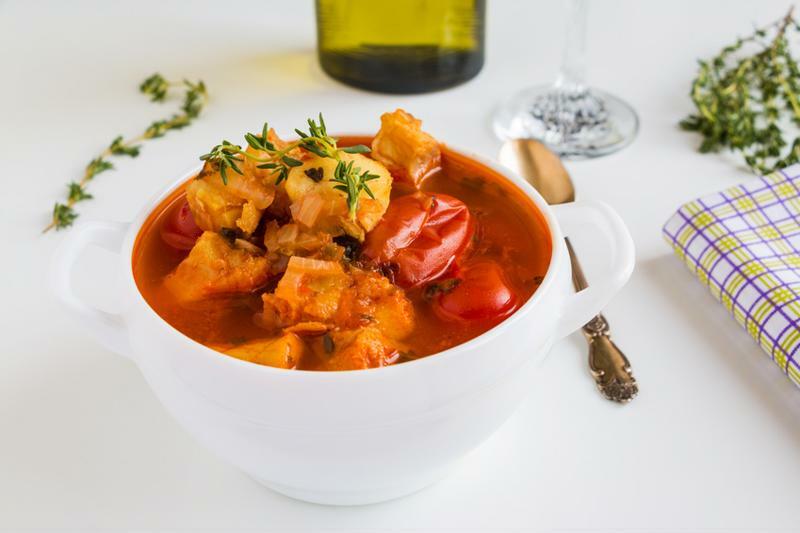 This recipe requires top quality ingredients as they are served in their most basic form, but when correctly combined, this is one of the great Mediterranean dishes, and can be prepared by even those with the most basic of food preparation skills. This tomato mozzarella salad pairs well with a glass of white wine. Place the tomatoes and mozzarella slices on a large serving platter, alternating between the two. Combine the oil, vinegar, salt and pepper in an airtight jar, and shake well. Drizzle over the tomatoes and mozzarella, before sprinkling with the basil. A great alternative to pasta, gnocchi from a packet can be boiled up in a matter of minutes. This traditional Italian recipe makes the most of the fresh flavours of parsley and samphire for a light yet indulgent meal. Our recipe calls for pre-made gnocchi, but you can make your own version for an extra sense of achievement (although it will take 45 minutes longer). 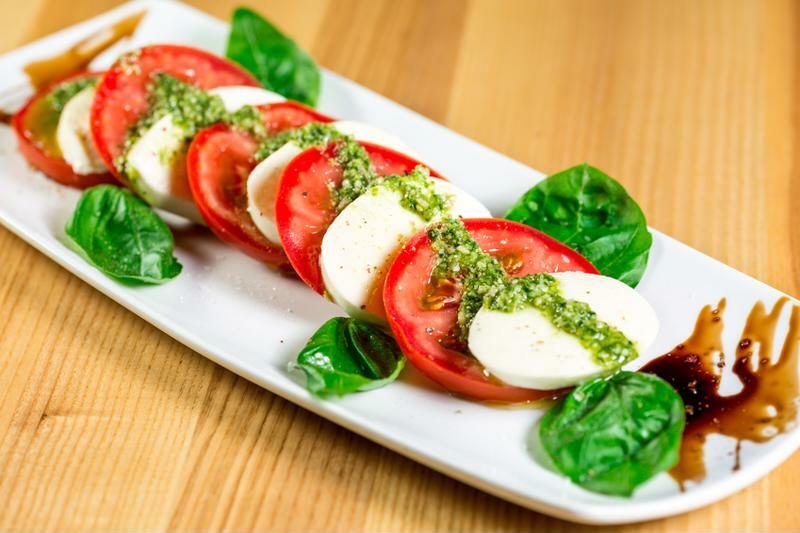 Fresh flavors and Italian tradition: how can you go wrong? Bring a large pan of water to the boil and add the gnocchi. Wait until the gnocchi begin to float (2-3 mins) and remove from the water using a slotted spoon. In a heavy-based pan, melt the butter before adding the shallots and garlic. Gently stir for 6 minutes until softened, then add the samphire and stir gently for another 5 minutes. Add the gnocchi to the mixture with most of the parsley and gently toss. Serve with a light scattering of the remaining parsley. Individual Italian dough parcels with a veggie filling, these artichoke and olive calzones are a great midweek dinner which are sure to keep the whole family happy. This is a fun and simple recipe, and perfect for getting the kids involved in the kitchen. 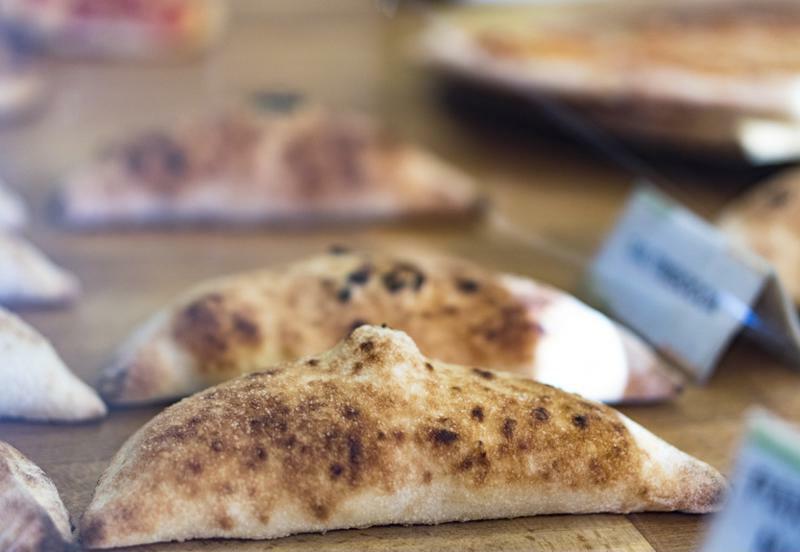 And, if you're entertaining friends and family, baby versions of these calzones are wonderful light bites on the buffet. Try these artichoke and olive calzones for your next midweek dinner. Meanwhile, heat the oil in a frying pan and cook the artichokes and rosemary until the artichokes start to brown, then stir in the ricotta and garlic. Follow the instructions on the bread mix packet, before dividing into 4 equal balls and rolling each one into a 20cm circle. Spread the ricotta, olives, artichokes and rosemary on one half of each of the bread discs, then top with the mozzarella. Brush the uncovered part of the bread dough with water, and fold over the toppings to create a parcel. Press the edges to seal and place on a baking tray. Bake the parcels for 15 mins, or until golden and puffed. Serve immediately with the sides of your choice. Perhaps the most quintessentially Mediterranean of all the dishes on this list, this recipe uses many of the region's favourite ingredients including fresh sea bream and an abundance of sweet tomatoes. Go for the super ripe tomatoes to add an extra sweet kick to this dish. For a taste of tomato, try this broth. Heat half of the oil in a large pan, before adding the fish and frying for 5 minutes, until it starts to brown. Flip the fish and add the garlic to the pan. Fry the fish for 1 minute before adding the chilli and tomatoes, before pouring over the wine and leaving to bubble for a minute. Add 100ml of water and season generously with salt and pepper before placing a lid on the pan. Simmer for 15 minutes until the fish is cooked through. Remove the fish from the pan and add to serving plates. Place the pan back on the heat, and add the capers and parsley. Turn the heat up high and boil the sauce for 1 minute, then drizzle over the fish. 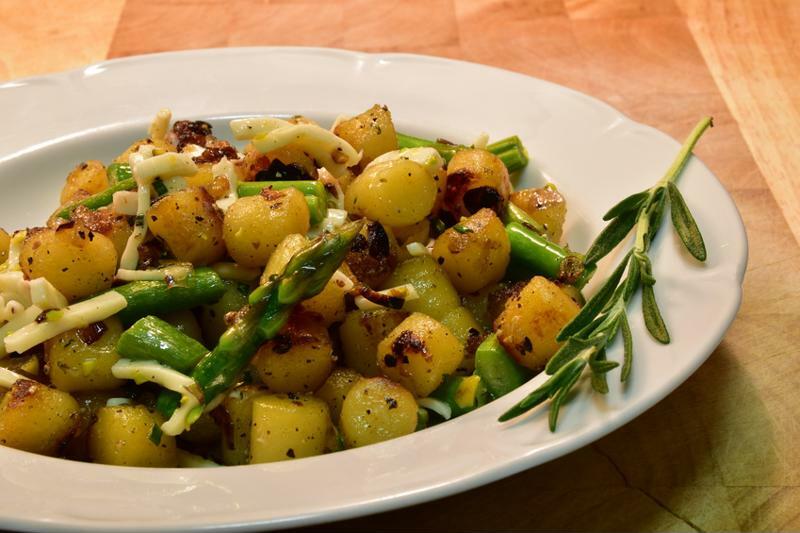 Serve with your choice of boiled potatoes and veggies. We hope you've found a few recipes here to bring a little taste of the Mediterranean to your kitchen this spring. And as an added bonus, all these dishes can be stored for leftovers using the FoodSaver vacuum sealing system, so you can save money and reduce food waste. For more information about our innovative vacuum sealers, visit the homepage.